"It's the dressing that makes this salad so delicious. 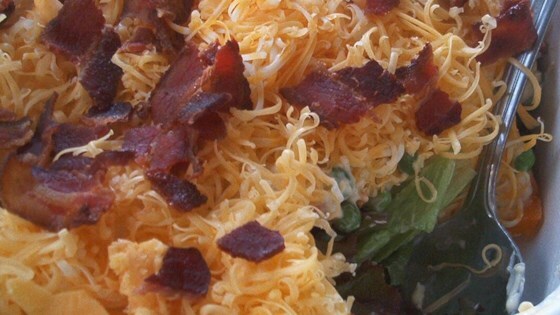 This can be made the night before, and you can also use grated Cheddar cheese instead of Parmesan." The sweet and tart classic Waldorf gets layered! Big hit at our Christmas progressive dinner with the neighbors! This was good but would have rated it higher with less curry. A little strong for our tastes.